It was a proud day earlier this month when we heard that Dr Eugene Fama, sometimes referred to as the “father of modern finance”, was awarded the Nobel Prize for Economics. A happy endorsement of our approach to investing. The prize was also awarded to Lars Peter Hansen and Robert Shiller. All three economists have spent decades looking at market pricing in different ways. 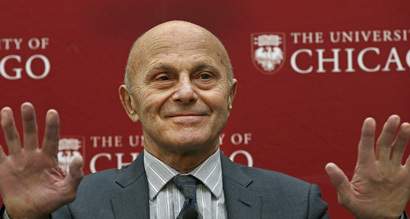 Dr Fama is a professor at the University of Chicago and founding board member of Dimensional Fund Advisers. Dr Fama developed a theory known as the Efficient Market Hypothesis. This is the theory that market prices react quickly to new and previously unknown information implying that it’s not possible for an individual investor to outperform the market in the long term.